Finances 101 – The Game – Walk the walk. Talk the Talk. 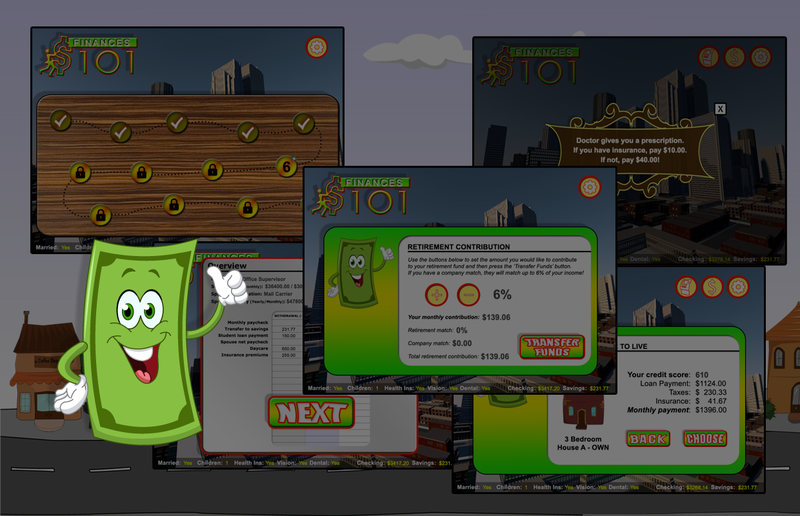 The FREE life-sized game that teaches high school students about the financial demands of the real world. Students roll the dice to find out how many children they have, then pick a card to determine the total of their monthly daycare expenses. They may be fortunate enough to have someone who helps with babysitting at no cost, or they may have to pay full price for their daycare. This free event is presented by the NW Ohio Credit Union Outreach Alliance in conjunction with the Financial Education Committee in Toledo and the surrounding area. Kassie Cooper or Brenda Schwind.